SD9 | Nancy Skinner is apparently a very accomplished singer. Walking across the concourse at the San Jose Convention Center Friday afternoon, the Ninth State Senate District candidate broke into song. In fact, Skinner cut her own record in the early 1980s, including a tracked titled, “Can You See A City.” Without warming up, Skinner’s pitch was impeccable and she even punctuated one portion of the tune with a short drum solo. A menagerie of special interests and candidates have their own booths ringing around the San Jose Convention Center. Sen. Bernie Sanders have one. Marijuana legalization has one. 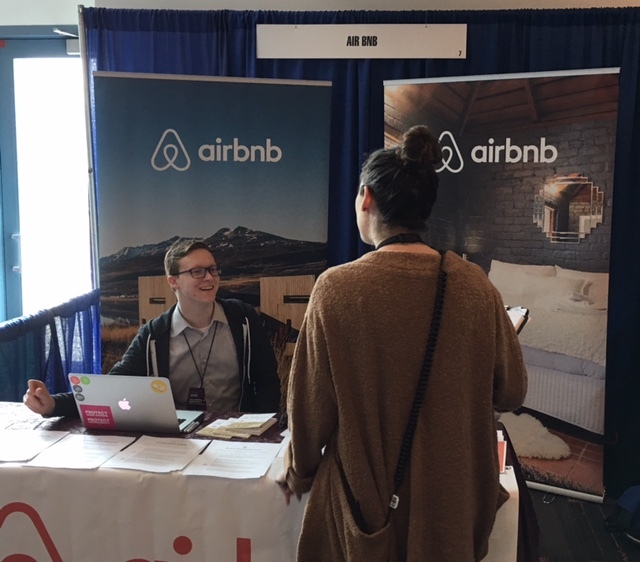 Notably, Airbnb has booth here and they, indeed, stick out. But their presence shows the room-renting app is continuing to make a big push in the world of Sacramento lobbying. As always, income inequality is a big issue at any state convention and a large part of the push came from the San Francisco and the East Bay. It could be soon coming to San Leandro Councilmember Jim Prola can gather enough votes on the city council. In San Jose as a state delegate Prola says he been pushing for raising the city’s minimum wage to $15 an hour. There is some consensus among his colleagues for raising the base wage of residents, he says, but opposition is coalescing against tying the increase in future years to the Consumer Price Index. San Leandro’s minimum wage is currently based on the state’s $10 an hour rate and its living wage—the rate its pays workers contracted by the city—is around $14.80 an hour. The minimum wage issue in San Leandro, however, is not ready for the full council to vet and will again be discussed at a City Council finance meeting in early March. 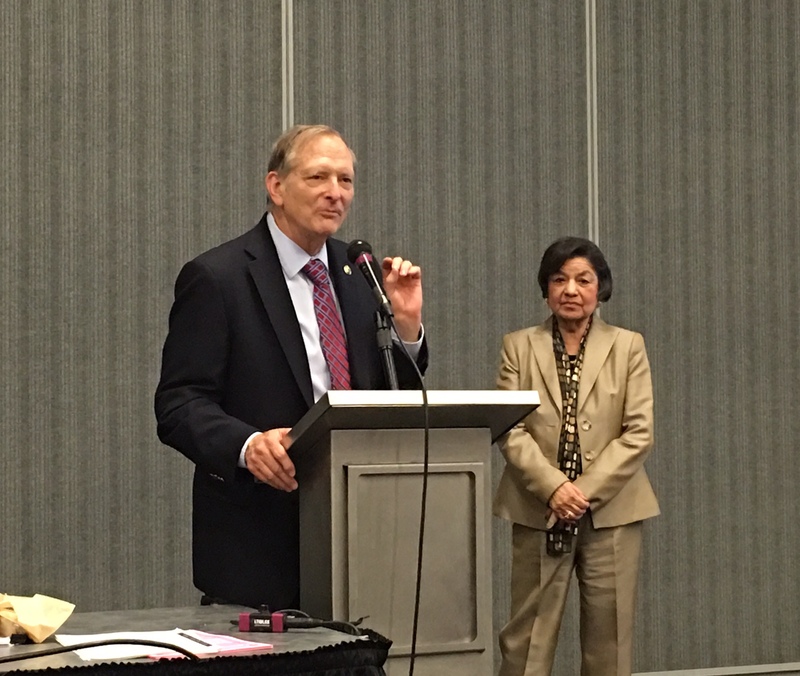 Hayward Assemblymember Bill Quirk addressing members of the Senior Caucus Friday afternoon at the California State Convention in San Jose. Posted in Bill Quirk, CADEM16, Jim Prola, minimum wage, Nancy Skinner, san leandro, SD9. Bookmark the permalink.